Why should I do Kegel Exercise? 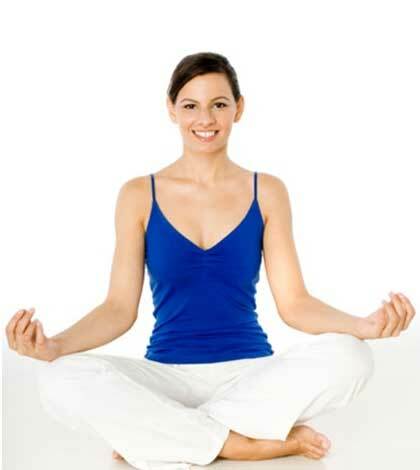 We normally indulge in a wide variety of exercises to keep our body fit and healthy. However, not many of us are aware of what are known as Kegel exercises that help in strengthening the pelvic floor muscles. As a result of the popularity of these exercises, the pelvic floor muscles have come to be known as the Kegel muscles. The exercise involves clenching and releasing the pelvic floor muscles and repeating it a few times every day. Why should I do the Kegel exercise? While we would not know its necessity at a young age, with age, the pelvic muscles lose their strength. This leads to urinary incontinence or loss of control over the bladder. Not just age, but childbirth and being overweight can also loosen the pelvic floor muscles. Thus, Kegel exercises are needed to strengthen them. The first step to doing this exercise is to identify your pelvic floor muscles. To do this, while urinating, try to stop the flow of the urine mid-way. Focus on the muscle that helps you do this. Repeat this for a couple of days until you are familiar with which muscle to contract. This is your pelvic floor muscle. Once you have the muscle identified, you can start doing the Kegel exercise. You can find a comfortable position to sit or lie down. Relax all the other muscles. Now only tighten the pelvic floor muscles. Hold it for three seconds. Relax the pelvic floor muscles. Hold for another three seconds. Repeat this about ten times. How do I build upon it? Once you are comfortable doing the exercise, you can start doing it while doing some other daily activity, rather than putting in time separately for it. Say, you could do it while reading your daily paper or while going through the email. Also, you could increase the duration of time for which you hold the muscles tight from three seconds to ten seconds, gradually. Find a duration that you are comfortable with and clench the muscles for that duration. You could repeat the exercise twice a day for optimum results. However, make sure that you always perform these exercises on empty bladder. The benefits of doing Kegel exercises are that it will strengthen your pelvic floor muscles. Women have claimed that it has improved their bladder control within 8-12 weeks. You can perform the exercise if you are pregnant as it will prepare you better for the physiological changes that come to be during childbirth. It can be performed even after childbirth in order to strengthen the pelvic floor muscles weakened by pregnancy. As with all exercises, it is important that you do not overdo the Kegel exercise. Keep it to a count of ten and repeat twice in a day for best results. Also, ensure that all your other body parts and muscles are relaxed when you perform the exercise. Otherwise, you can start having abdominal pain.